It would be interesting to conduct an ‘Implicit-Association Test’ on the Tamil Tigers with (1) non-Sri Lankans and (2) Sri Lankans separated into (2a) Sinhalese and (2b) Tamils. My impression (emphasised) is that the result will be overwhelmingly negative. (What may not be realized, or admitted, is that there are many Tamils with great anger against the Tigers for their actions, and for the disastrous consequence of those actions.) 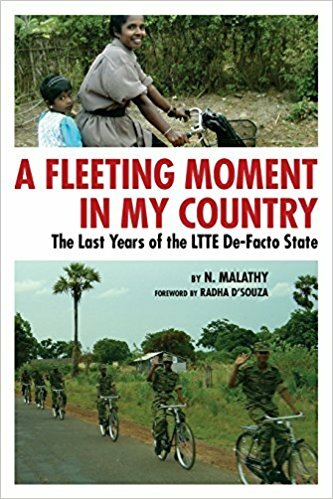 What follows is largely the result of reading A Fleeting Moment in my Country: The Last Years of the LTTE De-Facto State by Dr N. Malathy. In the long drama of human history, The Tamil Tigers were on the stage for a very short time and yet, as Dr Malathy notes, it is important that those who have first-hand knowledge leave a record. 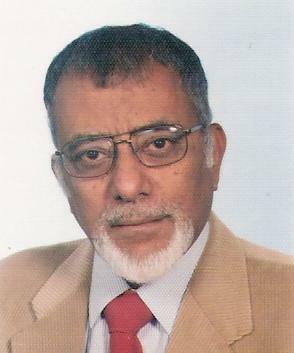 Dr Malathy was a volunteer social-worker in the Vanni from 2005 till the end of the war in 2009. She was then briefly detained in the notorious Manik Farm, together with over 300,000 Tamil children, women and men. She’s now outside the Island and safe from physical reprisal. I don’t know Dr Malathy but, going by her writing, I believe she is not someone who will deliberately descend to falsehood. But, admittedly, sincerity and inaccuracy can go together. What she writes is based on what she saw, heard and experienced. If she can be reproached it is for omission and minimisation: not for what she writes as for what’s left unwritten. Hers is a fragment which, together with other tesserae, will go to form a contested, conflicted, appraisal. Complexity can encompass contradiction, and it is the last that concerns me here. The poet John Keats (died 1821, barely 26 years of age) used the phrase ‘negative capability’ in a letter, dated 21 December 1817, to his brothers. By negative capability Keats meant the ability to remain in uncertainties and doubts without any “irritable” reaching after certainty. (If I may be permitted a digression, doubt can have positive results in that it keeps us thinking and searching while certainty leads to closure; even to complacency, if not to arrogance and its dogmatism. Socrates commented that if he was wise it was because he knew that he didn’t know. Could one, therefore, alter the religious injunction to believe and say: “Go thou – and doubt”?) One could apply Keats’ philosophic attitude to contraries and contradictions. As is well known, a human being can be compassionate and cruel; have lofty ideals and stoop to base conduct; be generous and mean. ‘Cognitive dissonance’ is said to create tension, even anxiety, in the individual between what s/he believes and what are facts or truths. One existential strategy when confronted with contradiction, for example, meanness and munificence or behaviour as a private, personal, individual and the conduct of the same person as a member of an ethnic group (I draw here on Reinhold Niebuhr’s Moral Man and Immoral Society), is to deny or ignore one of the two extreme opposing poles. Both A and Z simply cannot co-exist: it must be one or the other. But in reality contradictions do co-exist, and this brings me back to complexity, and to an altered form of Keats’ negative capability. As with individual human beings, so with political groups: contradictions cohere. And this returns me to the Tamil Tigers and to A Fleeting Moment. The cover-pictures indicate the writer’s partiality: they show a female Tamil Tiger fighter smiling as she rides a bicycle with a child on the pillion and, below it, a group of male fighters cycling in single-file, also smiling, waving their hands in greeting. Whether realized or not, personal life is impacted by wider political, economic and social factors, and so it’s said that the personal is political. An extreme instance of this truism is life in the Vanni as Dr Malathy knew it: “One could sit down and chat to literally anyone living in Vanni and hear their personal stories of war-related tragedies” (p. 116). Within Vanni, the pernicious caste-system was successfully dismantled. Among other benefits, this gave free scope to individuals to express and, what’s more, develop their potential. Allied to this was the emancipation of women: there was a “culture of respect for women” (p. 46). Indeed, sometimes male Tigers reported to more senior female leaders (p. 110). Equality had reached such a degree that some women felt “they did not need gender specific laws to protect them” (p. 106). Training in martial arts and weaponry gave female Tiger cadres a quiet self-confidence, evident also in their daily (non-military) life. In turn, this had a positive influence on civilian Tamil women (p. 112). The Tamil Rehabilitation Organisation ran child-nutrition parks for those between the ages of two and five. Previously, parents when they went out to work, left the older children to look after the younger, resulting in missed schooling by the former and inadequate care for the latter. The little ones attended the “park” six days a week. They were weighed every month and a record kept. (Compare: “LTTE paramedics came to see us [prisoners] every day. Yes, every day, in every place we were held”. Commodore Ajith Boyagoda, A Long Watch, 2016, p. 128.) A pre-school programme was run for slightly older children. There was no antagonism between Christians and Hindus. On the contrary, at Mullaithiivu (p. 117) there was a particular place of worship known as the Baby-Jesus (Kulanthai Jesu) temple. Note: “temple”, not “church”. This crop – Oh God Almighty! Buddhist philosophy has a greater consciousness of change than (in alphabetical order) Christianity, Hinduism or Islam (Whether what the Buddha preached and enjoined can be termed a “religion” is not of relevance here.) We change; others change; relationships change; society and the wider world changes. Heraclitus of Ephesus (535 BC – 475 BC) expressed it succinctly: All is flux. Change can be for the better or for the worse; be engineered from within or be wrought by external circumstances. Joseph Conrad in his novel, Under Western Eyes, observed that a revolution consumes its best: the most noble, the most idealistic, the most unselfish. A violent revolution falls into the hands of narrow-minded fanatics and of tyrannical hypocrites. The scrupulous and the just; the noble, humane, and devoted natures; the unselfish and the intelligent are not the leaders of a revolution. No, they are its victims. Hopes grotesquely betrayed, ideals caricatured — that is the definition of revolutionary success (adapted from Conrad). Dr Malathy’s re-presentation of life in Vanni does not include the brutality of which the Tigers are accused, particularly towards the end. (Some would argue that brutality was a hallmark of the Tigers not only at the end but from the very beginning when they mercilessly murdered cadres from other Tamil militant groups.) She does criticise the Tigers but in a tepid form: they did not fully co-operate with the ‘North East Secretariat on Human Rights’. The media (press and radio) had no freedom; no dissenting views or voices were permitted. Despite protested equality between the sexes, civilian women were not allowed to wear trousers like female Tigers, but had to dress in the traditional “sari”: see p. 111. Dr Malathy wonders why there was so much attention paid by the West to the recruitment of children. Though not stated by her, while “terrorist” groups may kill even in the hundreds, governments kill in the thousands and tens of thousands. This mass murder is carried out, the world over, by states indiscriminately bombing and shelling – not excluding schools, places of worship and hospitals. These acts are camouflaged under the innocuous expression, “collateral damage”. (Similarly, extreme torture is termed “enhanced interrogation”: to enhance is to further improve quality.) Picking up the Buddha’s emphasis on change, Malathy who wrote with pride about homes for children, admits that towards the end the older children were forcibly recruited. Given that the human “pool” from which the Tigers could draw was small and rapidly shrinking, this was inevitable; desperate and, above all, tragic. Dr Malathy mentions the lack of “political acumen” on the part of the Tigers but this seems to me, a layman, to be an understatement. They had little knowledge or care about wider, external, forces and changing international developments and configurations. Self-confidence veered into fatal over-confidence. It appears that the murders they carried out were often motivated by a sense of revenge on the part of the leader; his personal pique; his feeling of being affronted, rather than being based on careful, long-term, political calculation. A very senior Indian administrator, now retired, wrote in a message to me: The day the Tigers killed Gandhi, they also killed any hope they ever had of success. “Around this time I heard for the first time rumours that the LTTE was shooting at people who were trying to cross over to the Lankan side” (p. 148). This is most shameful; despicable and incomprehensible. The final military collapse meant also a collapse in morality; a collapse in principle and compassion. And again, one remembers the Buddha’s teaching on change, and what Joseph Conrad wrote about violent revolution. Those terrified children, women and men were tragically trapped between deadly Scylla and equally vicious Charybdis. War by its nature is cruel, and pitiful in its consequence. We must not confine ourselves to Sri Lanka but have a broader perception, and so I draw attention to just one example of cruelty on both sides, with sandwiched civilians paying a horrific and tragic price. In September BCE 52 the Romans surrounded the Gallic fortification of Alesia. Running out of food the Gauls (under their famous leader Vercingetorix) sent out their children and women, and then closed the gates on them. But the Romans (led by Julius Caesar) refused to let them in. Trapped in no-man’s land, those children and women starved and died piteously, in plain sight of both sides. As Sun-tzu (BCE 380-316), wrote in his Art of War, to see beauty in military victory is to rejoice in the killing of others. To quote again the words of Wilfred Owen, war and the consequences of war show pity in distilled form. Dr Malathy is to be thanked for publishing this fragment of a memoir; a first-hand account of life in the Vanni during those four, last, years. It is an obligation to posterity owed by those with first-hand, inside, knowledge. Building on the words of Othello just before he committed suicide, we must neither excuse nor minimise. But on the other hand, we shouldn’t write with the distortions of anger and hatred. In other words, we must strive to be scrupulously balanced and fair. (The incomparable genius of Shakespeare is such that Othello then proceeds to deliver a very partial assessment of himself. Objectivity and impartiality are easily protested but hard to achieve.) Extreme contradictions do co-exist – we are a complex, contradictory species – and the struggle is not to lose sight of either: A is true and (to whatever degree, however small) Z is also true. However, I fear there are some who are incapable of discussing public issues (here the Tigers) dispassionately: dis-passion; without passion; therefore, with reason, restraint and balance. Such individuals are given to vulgar abuse and taunting; they degenerate to personal attack rather than dealing with the argument; are incapable of distinguishing between essentials and trivia. 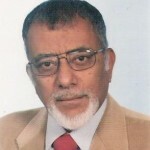 They reflect credit neither on themselves nor on Sri Lanka and on the quality of the Island’s public discourse. But as it’s said: “A luta continua”. On the return journey, we’d left Jaffna rather late, and it was judged that we couldn’t make it through the various checkpoints […] We stayed the night at Kilinochchi […] We were told that there was an LTTE cemetery, a “Resting Place of the Heroes,” not far away, and that at night it’s lit up. We found the place, but it was in total darkness. From somewhere in the middle, an elderly man [no doubt having seen the lights of our car] turned up with a feeble torch: a thin man accompanied by a small skinny dog. He explained that the power supply had broken down.